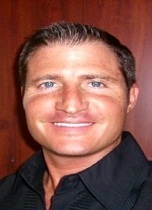 Evan is a Managing Director at Xnergy Financial and is based in our Eastern US region. His primary focus is leading the origination and execution of Debt and/or Equity (Public-Private) Offerings, Mergers & Acquisitions, Tender Offers, Financial Restructuring, Divestitures, and Reorganizationsfor large corporate, middle market and emerging growth companies. Evan’s financial background covers a wide range of experience in global corporate, institutional, commercial, retail, government and private banking.He served in several high profile national and regional business development roles advising public and private companies on growth and revenue generating strategies. He was also a portfolio manager serving as a trusted advisor for a multi-billion dollar portfolio.Prior to joining Xnergy, he spent 25 years in client facing roles at Morgan Stanley and Bank of America Merrill Lynch. He most recently managed the Private Banking organization and distribution teams at Morgan Stanley for one of their largest wealth management regions. Holds Finra Series 24, 7, 79 and 63. Mr. Tullos has been consistently recognized for his leadership as an instinctual and passionate leader who believes in creating a culture of trust and doing the right thing.